bareMinerals Prime Time Foundation Primer is a preservative-free foundation primer developed to combat flaky dryness, fine lines, excess oil, and enlarged pores. This mineral-infused formula glides on with no tacky feel to provide a skin-smoothing complexion prior to applying bareMinerals SPF 15 foundation for a seamlessly flawless face. Evens out skin texture and absorbs excess oil. 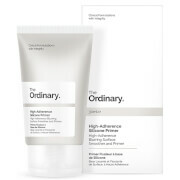 Combats flaky dryness, rough patches, fine lines, excess oil, enlarged pores and uneven skin tone. Contains vitamins C and E, plus licorice extract to provide age-defying benefits. bareMinerals SPF 15 Foundation applies smoother and lasts longer. 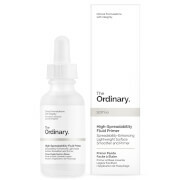 Apply one pump for an even layer of this lightweight primer all over your face. Less is more. Once dry, follow with bareMinerals SPF 15 Foundation. I had to be cohearsed into buying this stuff but I will never go back. It absolutly helps my BM foundation last longer and go on more evenly. Most important to me because I am always touching my face and wiping off my makeup in the process. Also really like the one by perscriptives too! I have been using Bare Minerals for 10 years.This is the best preparation.Having it auto shipped makes sure I will always look good.